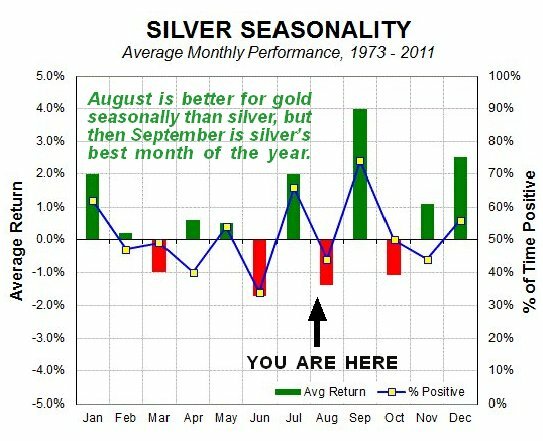 The picture for silver looks dull and weak, and it has dropped back over the past month or two, like gold, in response to dollar strength. On its latest 14-month chart we can see how, after breaking support in the $16.15 area, it has dropped back to support close to the low of last July, where it is oversold. The intermediate trend must be classed as neutral / down as it is below bearishly aligned moving averages. 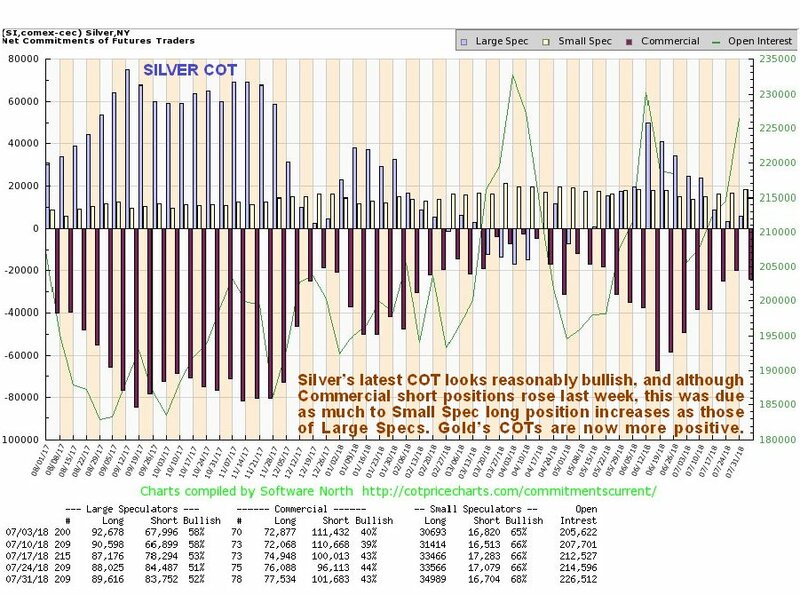 Having said all that there is a fair chance of it turning higher soon, as in addition to being oversold and at support, its COTs now look bullish, as we can see on the latest COT chart stacked below the 14-month silver chart for direct comparison, with gold’s COTs being more so, and with gold’s seasonal factors now approaching their strongest for the year, silver may come along for the ride if gold now advances, which looks likely also because there is a good chance that the dollar will react back over the near-term, as we have observed in the parallel Gold Market update. 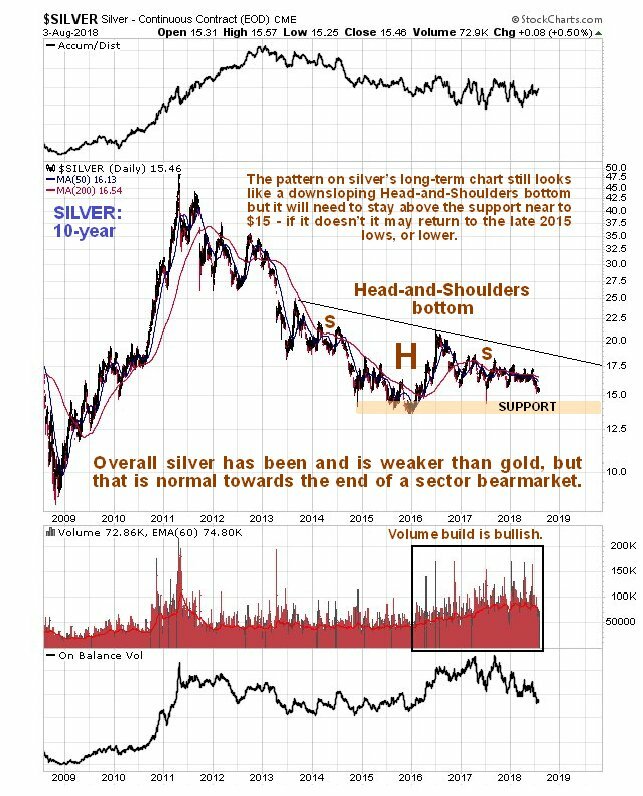 On its 10-year chart, silver still looks like it is the late stages of a downsloping Head-and-Shoulders bottom. The fact that this pattern is downsloping compared to the similar one in gold, which is flat-topped, is normal as silver tends to underperform gold at the end of sector bearmarkets. 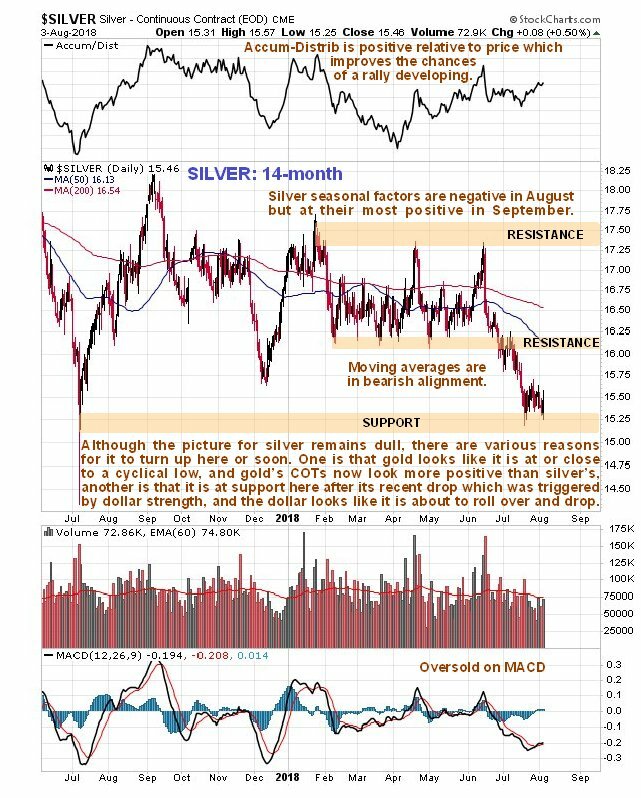 However, for the pattern to retain its promise the price must stay above the support near to last July’s low – if this support fails then it would open up the risk of silver dropping back to the lower support level in the vicinity of its late 2015 lows, or lower, meaning new lows, which would probably occur at the time of a broad based 2008 style asset liquidation, which as we considered in the Gold Market update, is now a growing risk with the property boom running out of steam and the increasing threat to the global economy from trade wars.